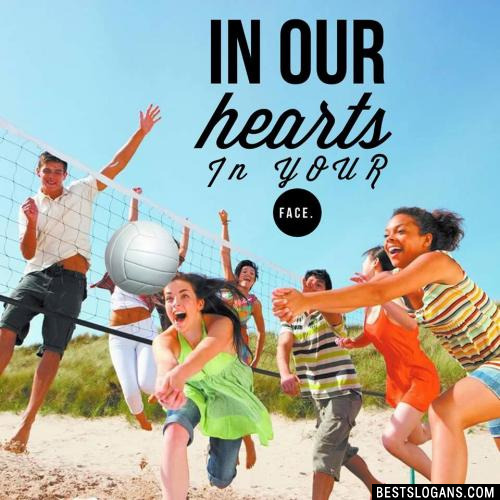 41 new entries added to volleyball slogans, that include pictures. 1. Our Spandex might be tight but my team and I are tighter. A team sport in which two teams of six players are separated by a net, volleyball is the second most popular sport in the world today. 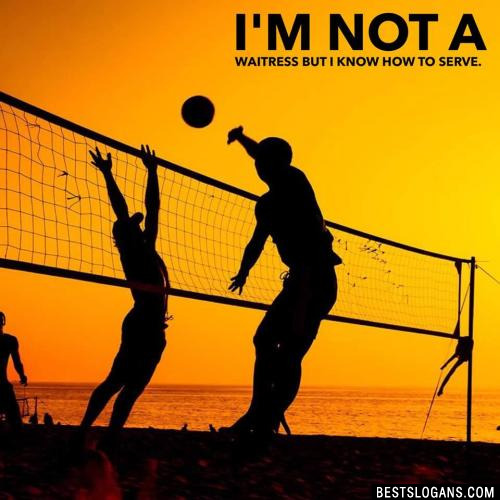 Here are some facts you may not know about the game of volleyball. Volleyball was called mintonette at first but it was later changed to volleyball. 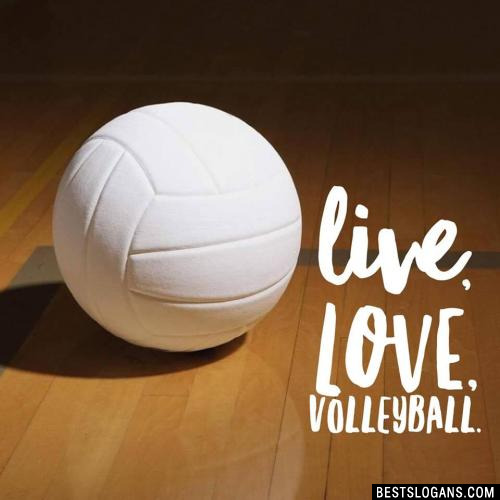 Volleyball is the second most popular sport in the world today, exceeded only by soccer. The longest recorded volleyball game was in Kingston, North Carolina. It took 75 hours and 30 minutes. 2 Spike so hard the earth wants no part of you. 3 You won't like it when we spike it. Set it up! Spike it down! 6 Queens of the Court. 7 Set it up, put it down. 8 New Kids on the Block. 9 Love at first spike. 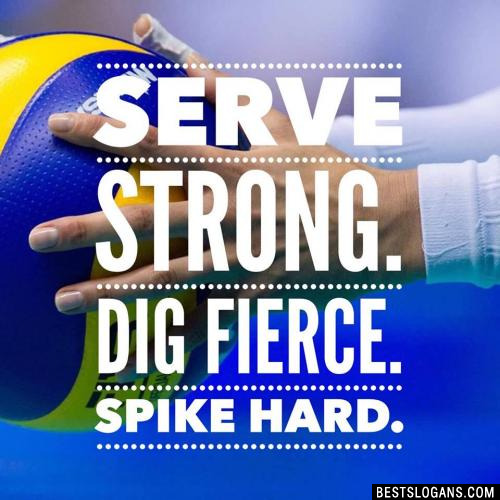 13 We will we will spike you! 15 Forget about it Princess, cause not even Cinderella is getting to this ball. 16 Just Bump it up. In OUR hearts In YOUR face. 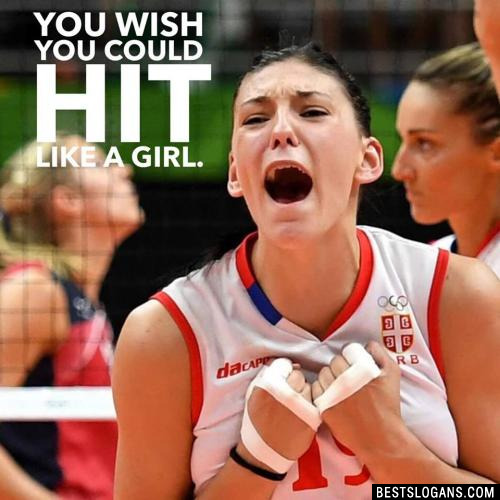 19 If volleyball was easy, they'd call it football. I'm not a waitress but I know how to serve. 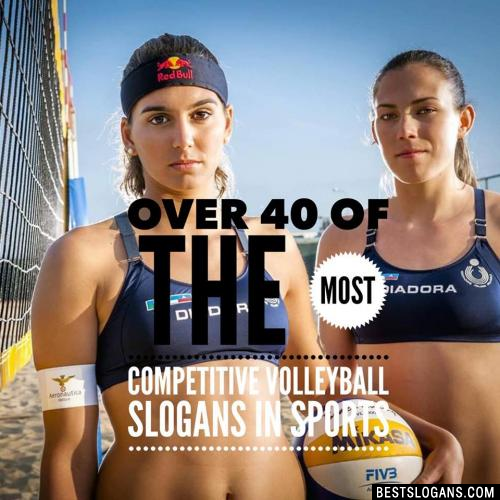 Can you think of a good Volleyball Slogans we're missing? Or come up with a clever one of your own. Please share below.